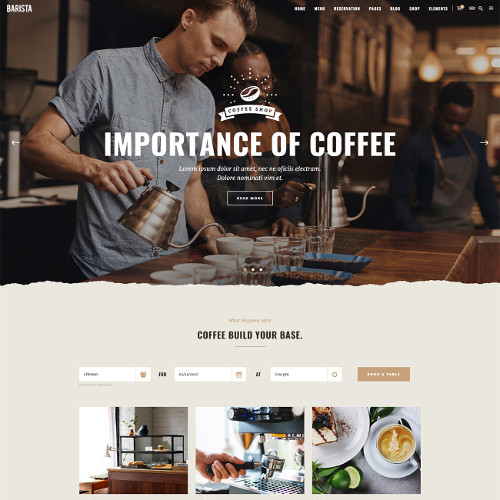 Below find some small business website examples which will allow you to see our work plus give you some inspiration or starting point for your own project. 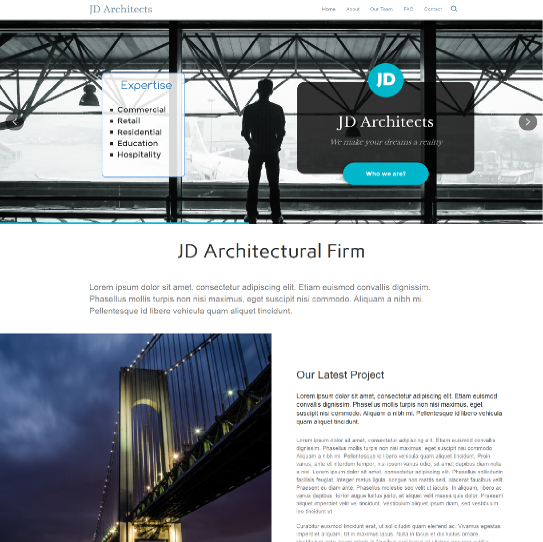 We have included a variety of designs to give you an idea of what can be done to give you a professional website that will attract new customers to your business and at the same time, a unique look that will allow you to stand out from the crowd of websites on the web. Below you will see some small business websites; for example, a doggie daycare center, an architectural firm, and a life coach. Browse through them and note what you like and don't like about them. 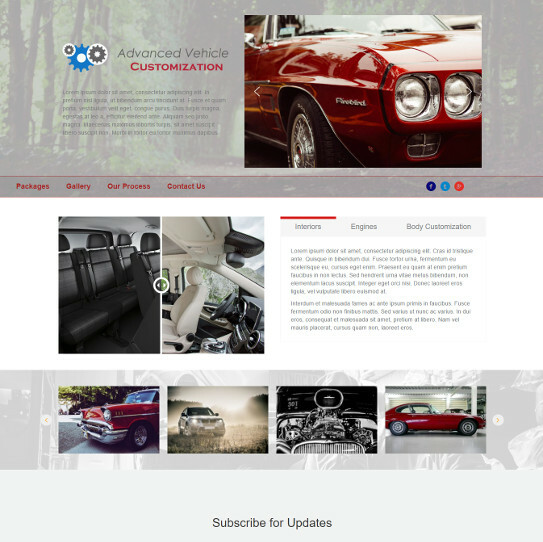 We design custom websites according to your preferences. We will design a custom look just for you. 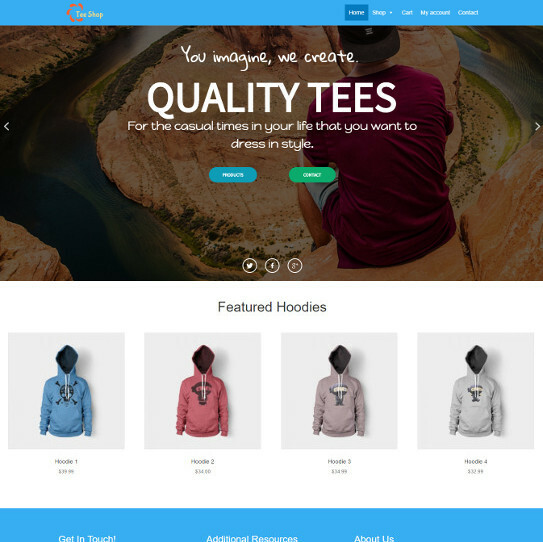 Browse through the design examples below and then contact us so we can get started with a beautiful online presence for your business. Restaurants have some very specific needs so it's important to have a website that displays menus well and is able to take reservations. What a fun site to create! Beautiful pics of the building and area are a priority so people know what they will have on their time of relaxation. Colors are important to create the peaceful mood. Many small business owners need to sell things on their website. The e-commerce can be a small section of your website or be the entire site. 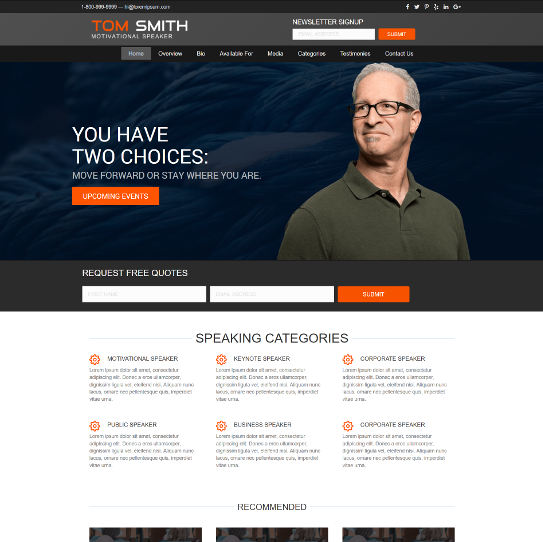 A beautiful clean design to promote your speaking skills. This would also work well for a coaching business. Our favorite components of this design are the slider which has some interesting movement which captures someone's attention and the FAQ page which has awesome elements of its own. This website has more of a "techy" look and can be used for anyone selling technical products. As with all our site, e-commerce capability can be added. The movement of words in the slider gives this homepage an added "splash!" 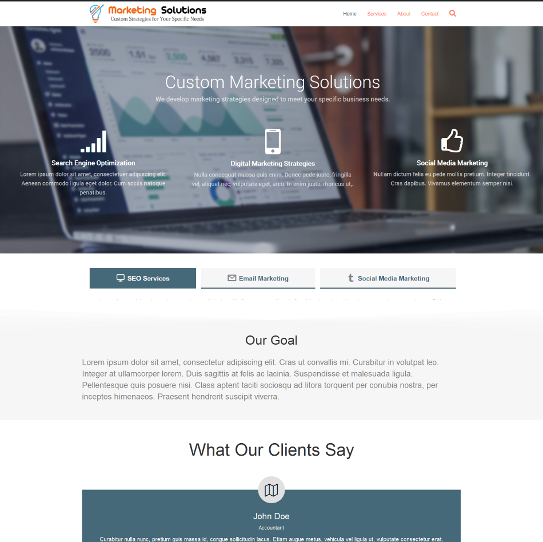 The Services page presents everything the marketing firm offers in a very attractive format. 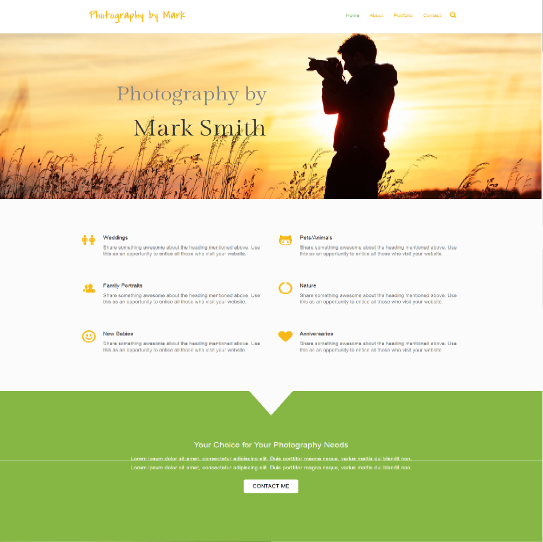 This site boasts of an attractive informative homepage which directs people to the important things they would want to know when hiring a photographer and a stunning portfolio page. 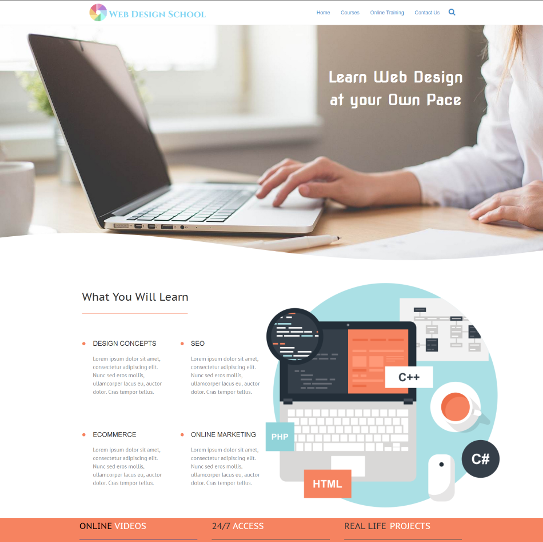 A web design school needs to create some excitement along with provide credibility to its usefulness. This is accomplished by color and graphic selection, along with solid testimonials. 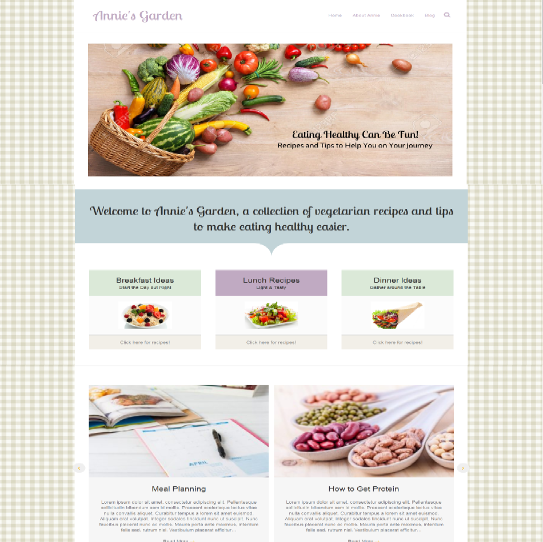 This site offers a light feminine touch while providing the ever popular recipe website. It has a fun background to give it lots of color and some beautiful inside pages. We love the "What We Offer" section of the homepage which lets someone see in a glance what services they have. 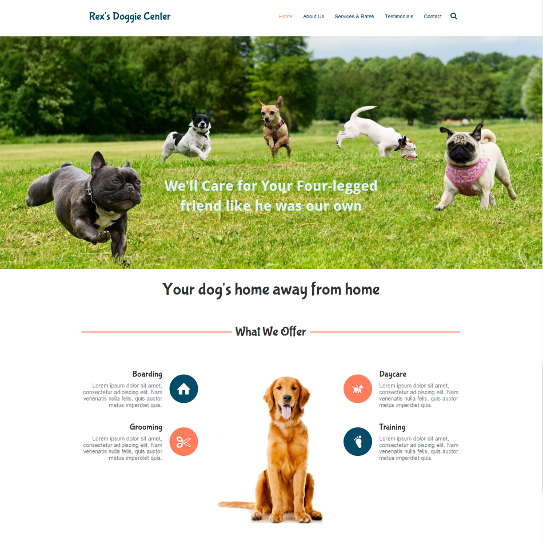 The pawprints background on inside pages give the site a fun"doggie look." 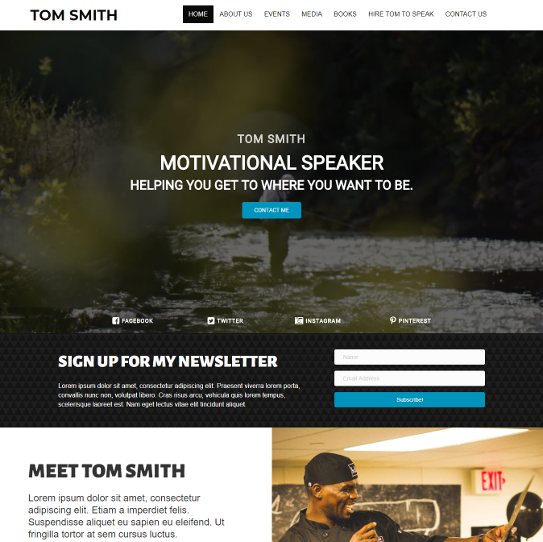 This website presents a clean attractive look and includes a section for for a winning testimonial right on the homepage. Each inside has a variation of similar headings to add interest for the reader. A clean attractive look to showcase your speaking skills. 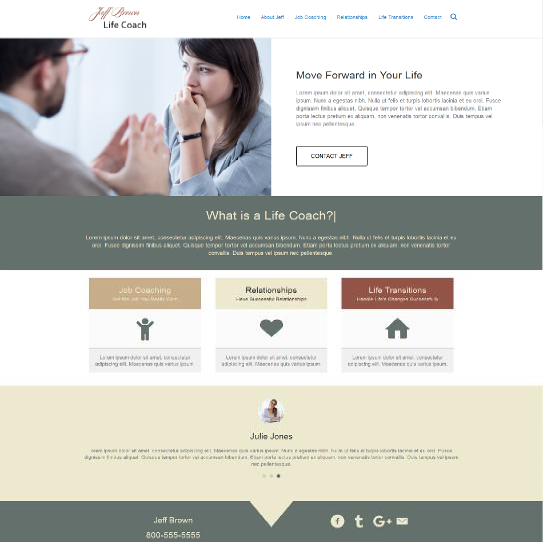 This design would also work well for other types of businesses such as coaching, photography, etc. A lovely look for a cafe on the water or any type of restaurant. 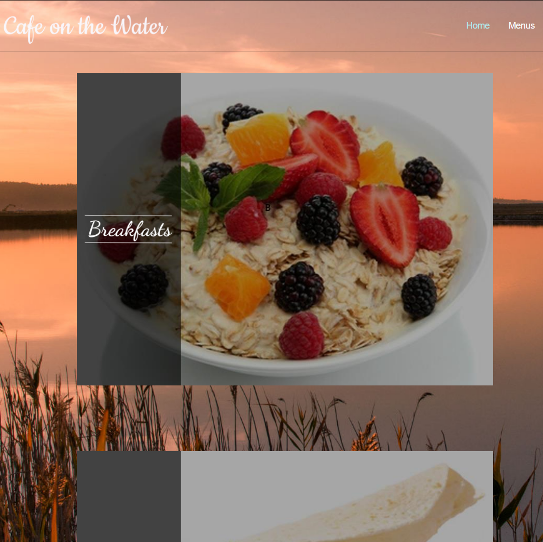 Invite your web guests to visit and dine with you with a warm attractive website. A lovely display of kitchen tools! Does it make you want to get a new tea kettle or mixer? If so, the website has done its job. Whether you are a professional or own your own small business, having a website is a must today. People search and find what they want online. If you are not there, or if your website does not entice them to stay around and answer your call to action, you are losing business to your competitors. 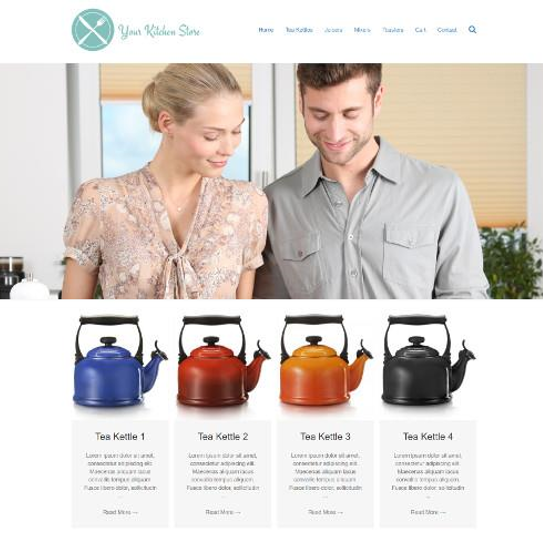 Our examples display different elements to show you what you can do with a website. Some have a little movement, others have different heading looks to keep it interesting. We will mix and match the looks you like and come up with a design that is UNIQUELY YOU. Not only is the appearance important but uniqueness is crucial to someone identifying your business and remembering it. 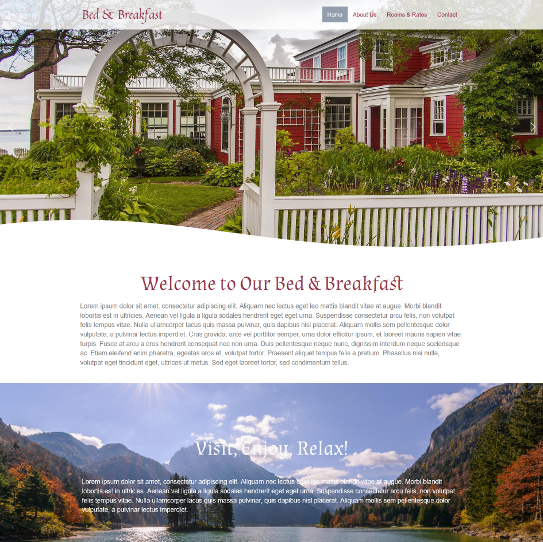 Our small business website examples were designed to let you see what a beautiful presence you can have online. Your website should encourage new business as well as cater to the needs of your current customers. Contact us today so we can help you move your business forward.